Have your Facebook friends turned into giraffes? If you are seeing many giraffes in your Facebook feed, your friends are clearly not good at riddles. The answer depends whether the user is a giraffe or not. 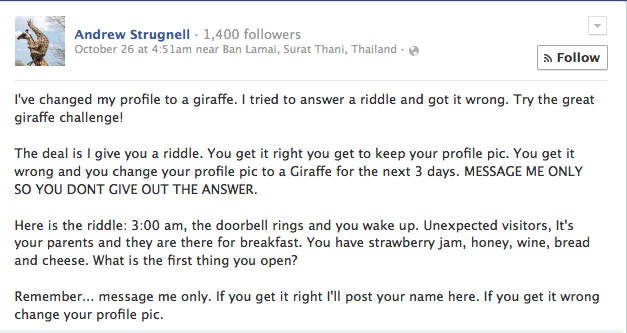 A new riddle has stormed the social networking site where users who fail to answer it correctly have to replace their profile picture with a picture of a giraffe for three days.